Ratchet was my very first G1 figure ever purchased and it’s embarrassing to admit, but I’ve had him for YEARS (since 2006-2007) and this is the very first time I’m even transforming him! It’s time to finally give Ratchet some of the attention he deserves and what’s a better way to start than by having him do the honors of the first G1 Journey post! 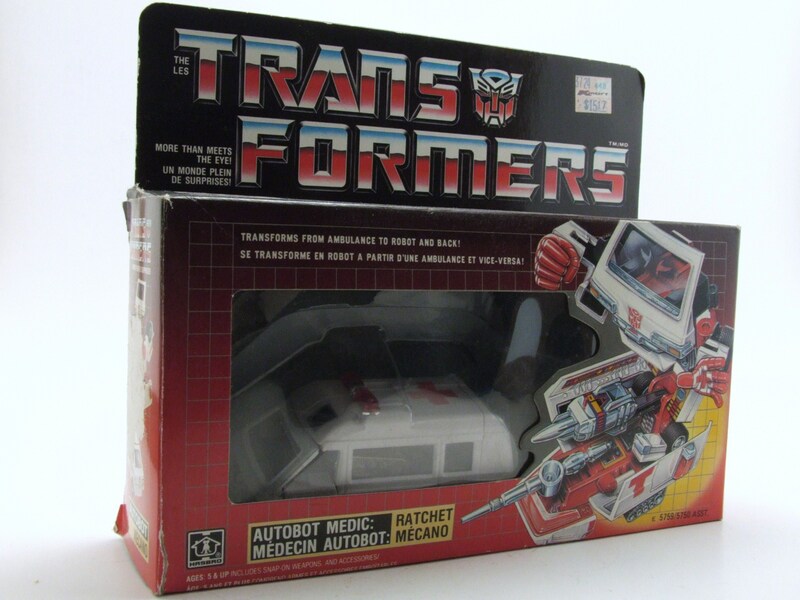 It seemed forever ago, but I purchased Ratchet off of Ebay after having my Dad convince me to start tracking down the original Transformers figures. This was during a time when the live action movie craze had JUST hit and there was a renowned collecting interest in nearly all Transformers fans. With that being said, I am certain I overpaid for this Ratchet figure even though I can’t remember the final auction price. If you’re looking for Ratchet now, there’s always the easy route of purchasing the Encore reissue, which will only run you close to $30-$40 USD. 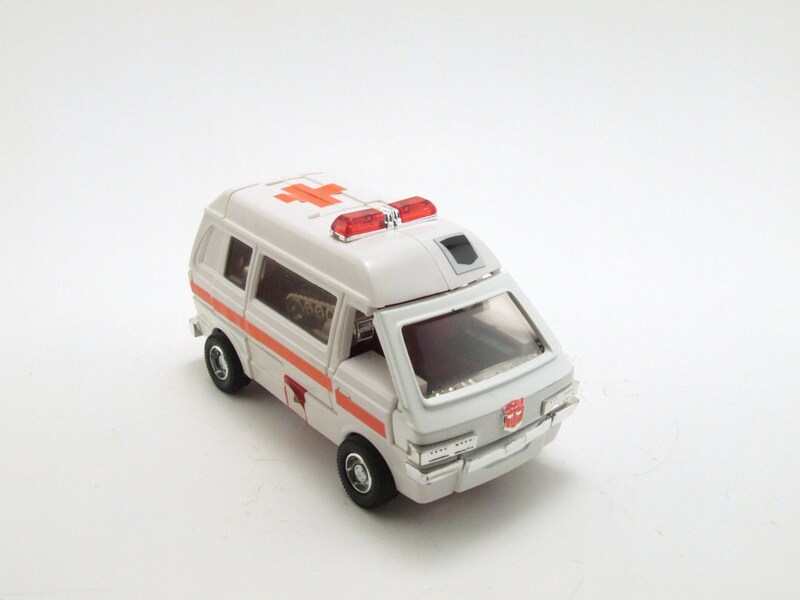 The vintage route is more expensive, especially if you acquire the “Red Cross” version of Ratchet. 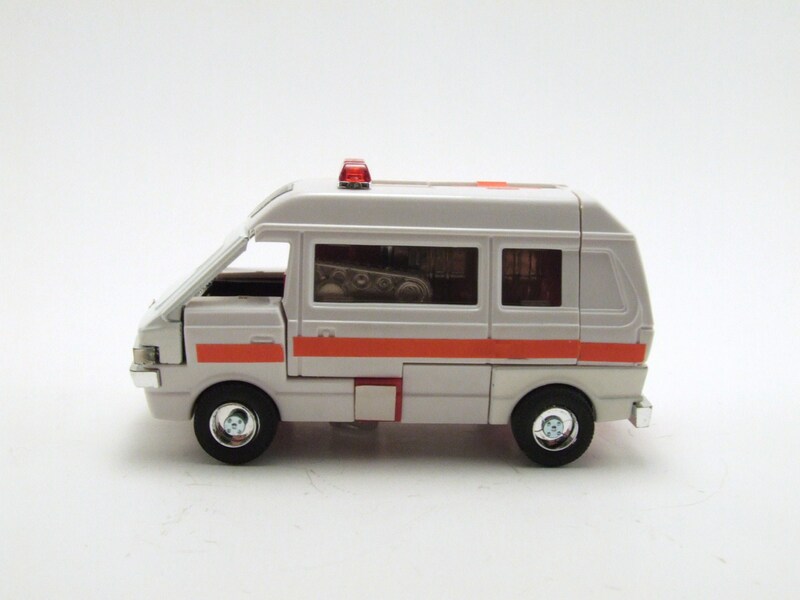 I’d budget for as low as $60 USD if you’re looking to acquire one loose, but be prepared to spend over $115 USD for a complete Ratchet with packaging and paperwork. Upon first glance of Ratchet in his decently conditioned box, I already feel I’ve been missing out. The packaging on these G1 figures are beautiful: from the blend of colors, the see-through window, to the figure art, it all blows today’s Transformers packages out of the water. I’ve also always loved the original “tech spec” read outs on these original figures. It added something to the figure’s character by giving a character bio and statistics, which you would “need” a decoder in order to see. 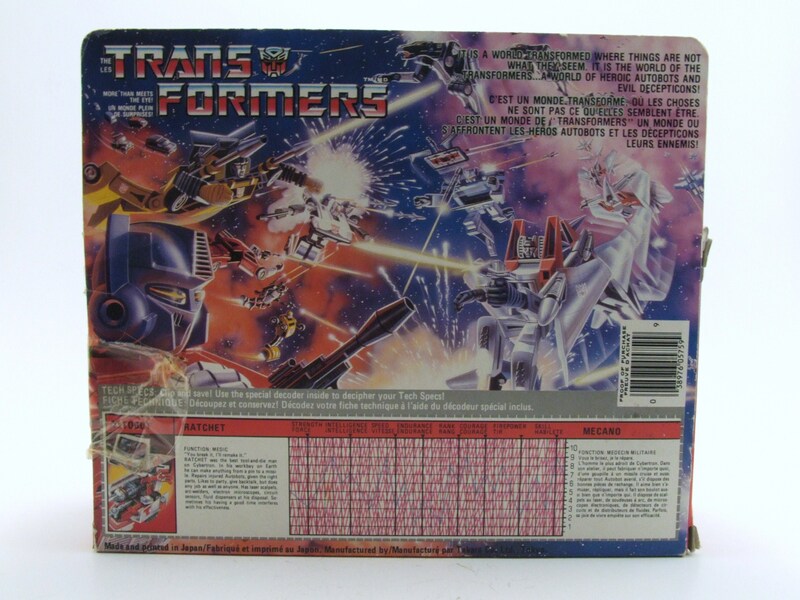 I don’t think we’ll ever see that much effort put into Transformers packaging again. I would have loved to have grown up with these figures. DIE-CAST. These figures are heavy, durable, and have DIE-CAST. Die-cast, even if it may be overrated a bit, is still one of my favorite details about toys. 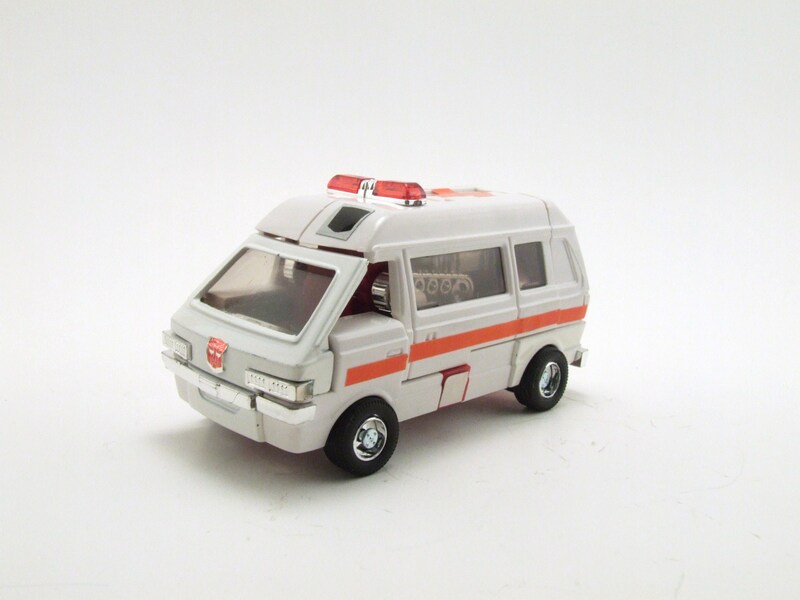 The detailing on Ratchet’s vehicle mode, a type of ambulance, is astonishing. It has rubber tires and windows that feel real. I was lucky enough to purchase this figure second hand and have it in such beautiful condition. It is missing some key stickers which I’ll replace eventually, but overall this vehicle mode is a beauty to look it. Transforming these G1 figures are an absolute breeze compared to modern Transformers, but the transformation is fun and not nearly as frustrating. 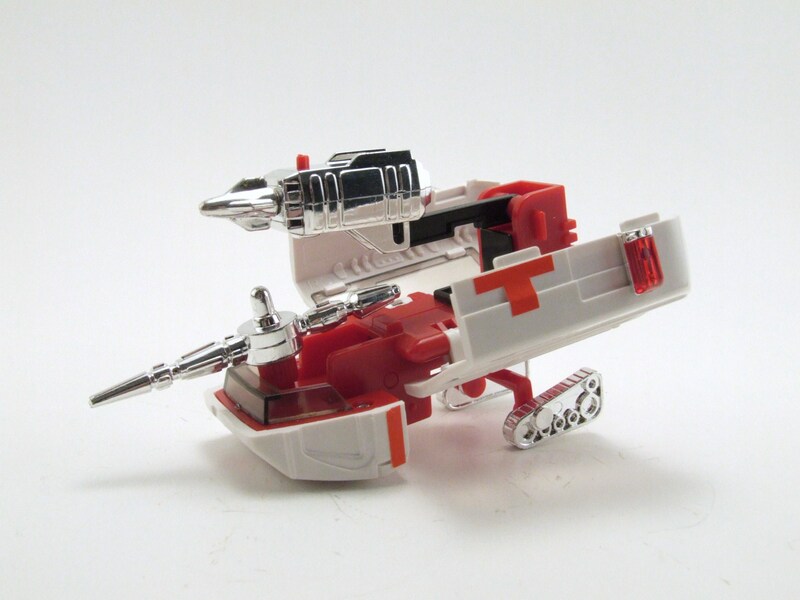 Ratchet’s back half of the vehicle mode transformers into some kind of base, maybe a medic bay which really has a ton of play value. 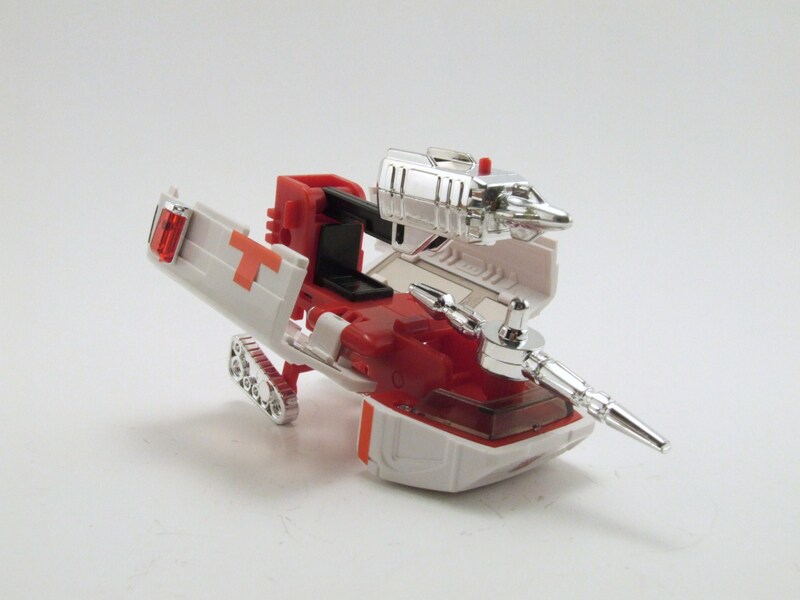 The gun turret, missiles, and treads are plastered with chrome, which I just love. 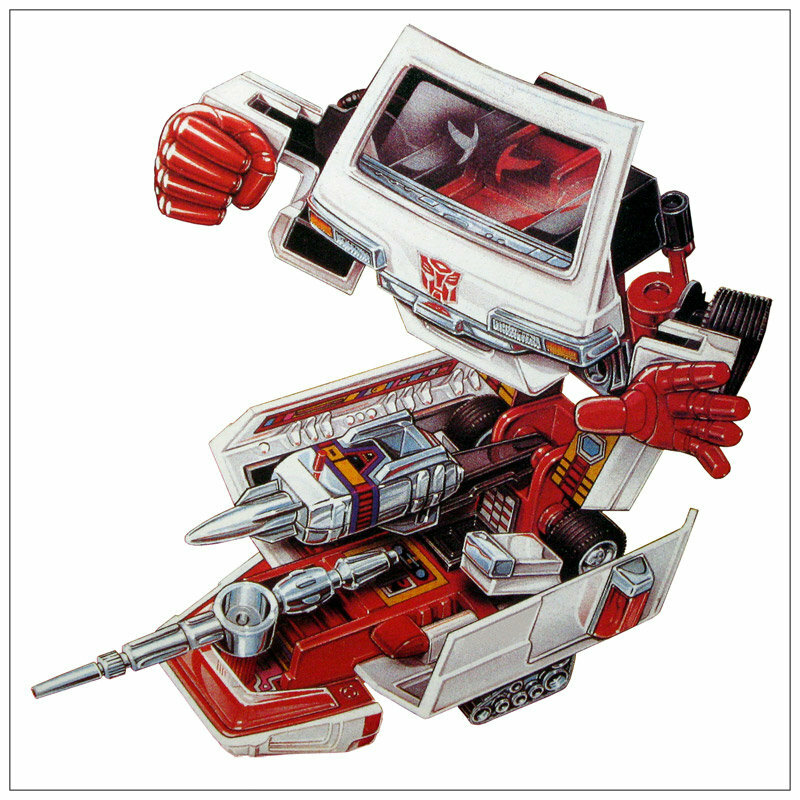 The only negative about chrome is how easily it can be scratched, so be careful with Ratchet’s weapons. 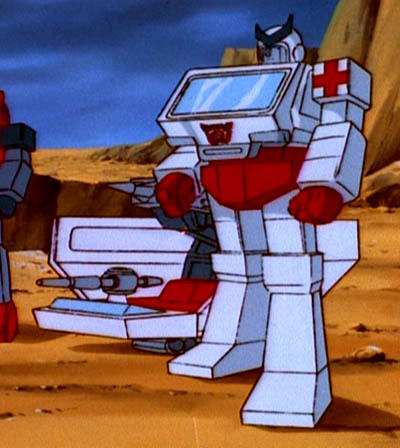 I faintly recall Ratchet using this medic bay in the original cartoon and comic series, really a shame it wasn’t utilized more. 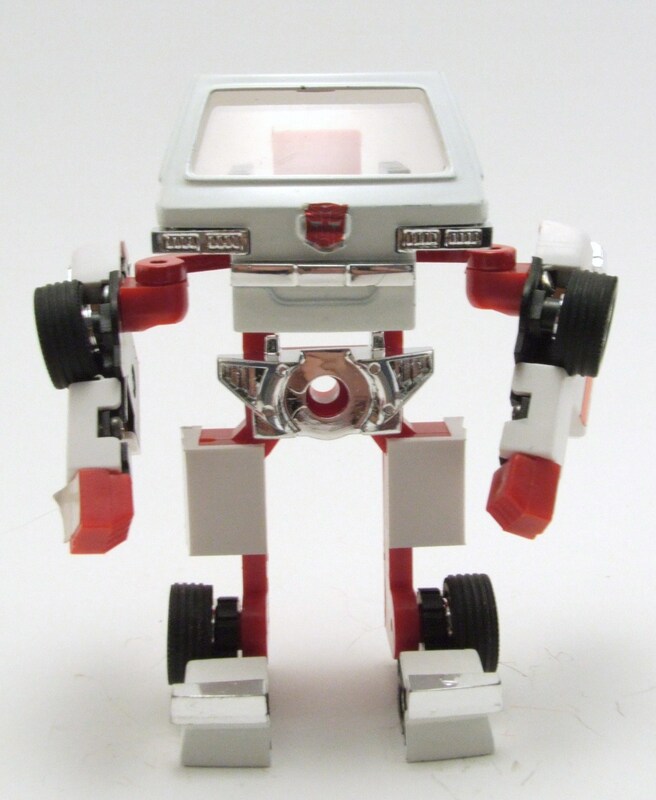 The robot mode for Ratchet is downright funny looking. He doesn’t represent his cartoon/character model AT ALL (unless you count the first couple of issues of the Marvel run in which Ratchet did appear in his toy form). 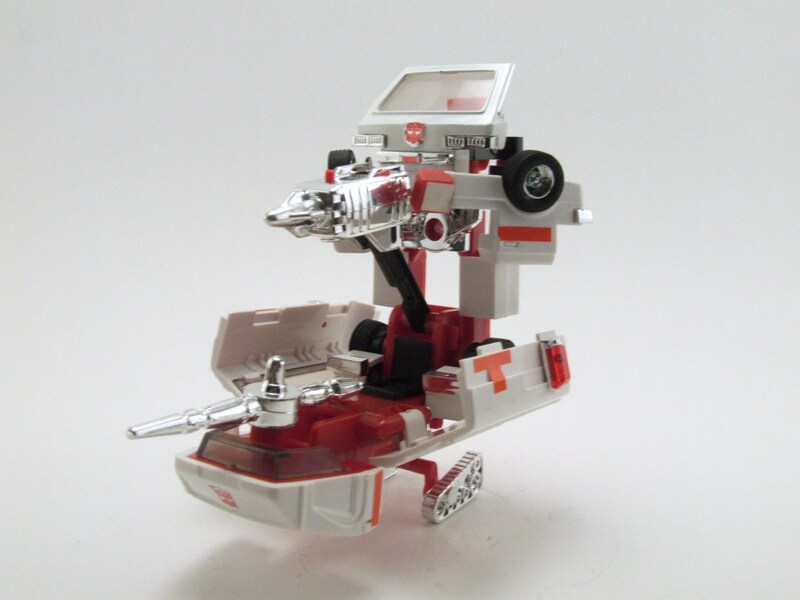 Ratchet’s toy is from a Takara Diaclone line, which explains why there is a “pilot seat” behind the windshield when in robot mode; he was designed so a pilot could control him. Due to Ratchet being a Diaclone figure he has no face (I’m missing the Hasbro face sticker he’s supposed to have) and his limbs are dis-proportional. Still, I really like the concept of this figure! This toy is FUN to play with, especially with the combination of his medic bay. 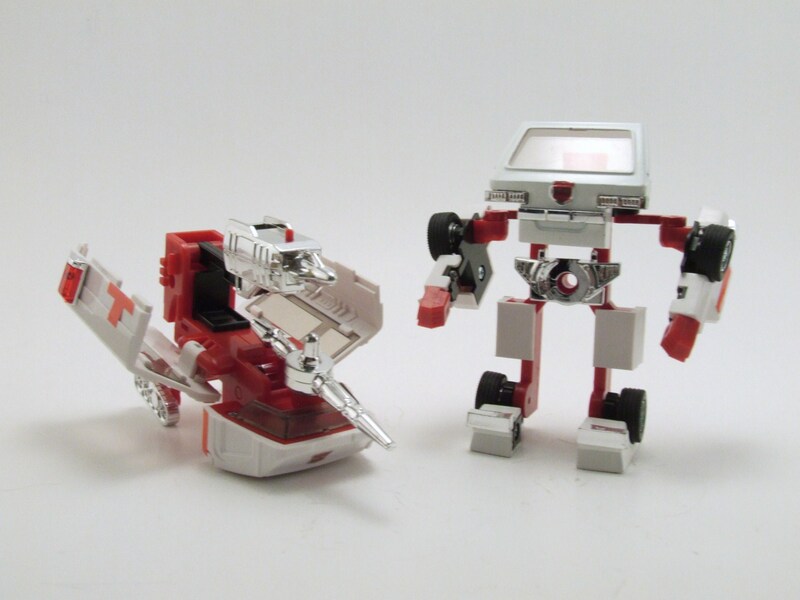 I know there’s at least 2 third party add-on kits for this toy that give Ratchet an actual head and arms, but I don’t even want to get them. This toy is fun to play with as is. After finally opening up this figure and having a full day to photograph and fiddle with it, I can see why so many collectors love the G1 toys. G1 Ratchet has a ton of play value and will probably remain one of my favorite figures in my collection (again, he also will always have that esteemed respect of being my first G1 figure). This was a great start in my journey towards a G1 collection. So … how much better does it get?